Hmmm...VERY tempting. Whats the display resolution like for playback? I assume its limited to the ability of the screen...around 640 X 480 is my guess. So when you switch to AUX port, the MAC will kick in as a car PC? hey guys heres a vid of my worked na xr6 http://www.youtube.com/watch?v=8ZZdYPJlrts let me know what you think also that fpv look alike is sweet well done mate. yes the res is 640x480 which is small but on the mac you can adjust it to have big text and icons with small res....it kicks in when you turn it on and takes over the screen but all standard functions are still there if you turn volume down it will go back to main icc screen for a second so you can see what your doing then goes straight back to mac screen....you need to press your aux button for sound however. cheers joshyd yeah she launches hard when she is warned up. Head work next maybe a mac mini and tru trac Diff in between tho Haha. yeah Probs do that soon josh. Hey mate out of curiosity what did the custom tailshaft and the Diff gears set you back if you dont mind me asking? joshyd Whats the boost situation mate? Haven't done much. Just got the GT front bar on, carbon fiber look on all that plastic silver trim in the interior. DTX and Kicker speakers with two 12" Option Audio subs in the boot. Made some stuff shiny in the engine bay and pulled out the air restricter, plus some pretty lights here and there. 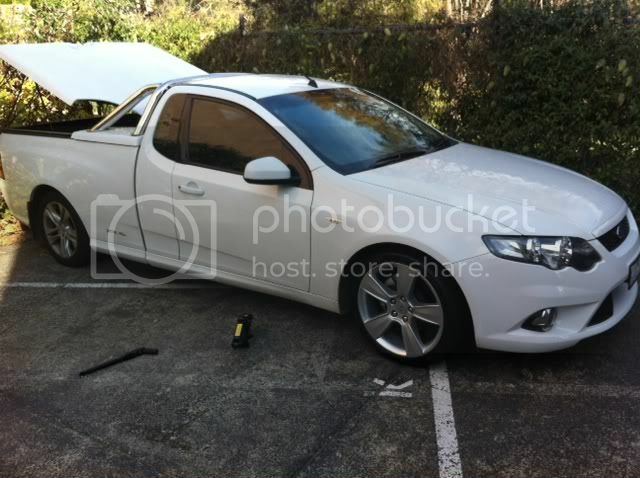 Here is my new Ute, bit boring at the moment but plenty of plans for her. 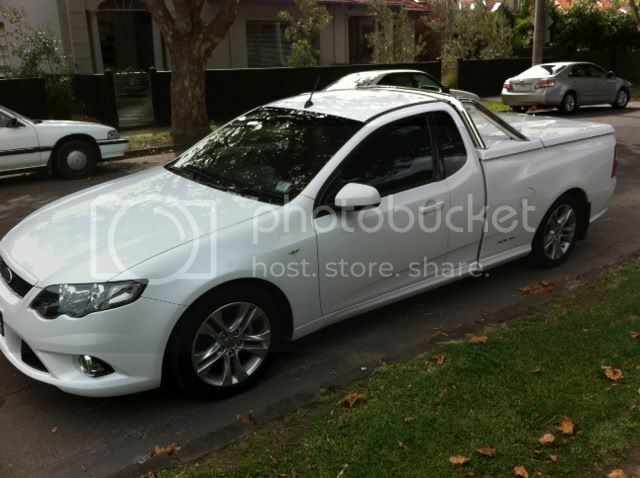 nice looking Ute man wish mine hard of come with a hard lid. Any mods planned? Put some new wheels on it... like the 5 spoke 19" over anything else I have seen so far. Prefere the wide contact they make with the hub over the dark agent as well. My plan is to get the wheels painted in a matt black along with the sports bar. Wishing I could get my hands on the "plastidip" stuff at a decent price to temporarily test it up and see how it all looks. Also going to get a darker tint put on it as the factory tint is pretty lite. Then once warranty has lapsed I will do headers/exhaust/CAI and a tune.